If you follow the Chicago craft scene, the name "Ale Syndicate" has likely popped up more than once in the last year or two. 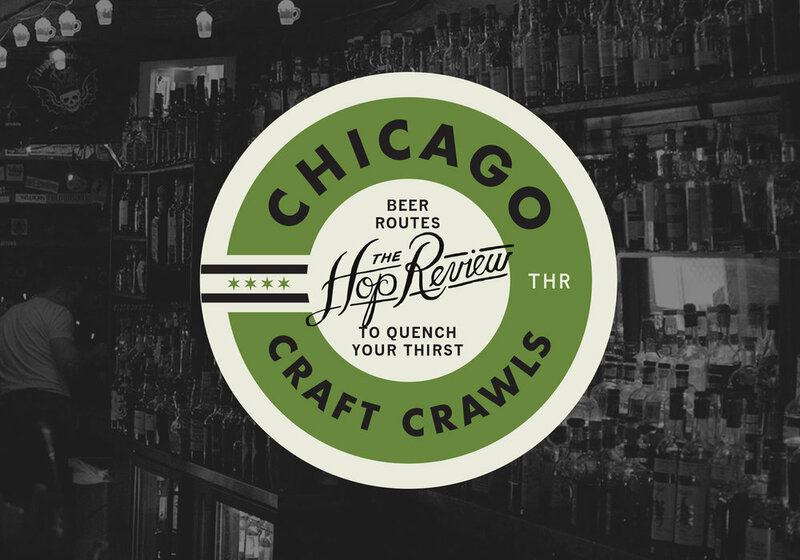 With humble beginning as the New Chicago Beer Co., they've had a busy couple years as they've rebranded and relocated, built a brew house from the remnants of an old train station, and expanded their award winning beer portfolio. Back in April 2013, founders Sam and Jesse Evans walked us through their plans and took us on a tour of their brewery to be. Early 2014 marks a major milestone for the Ale Syndicate crew as they put the finishing touches on their Green Exchange brewery. Set for a huge year, we jumped at the opportunity to track down the Ale Syndicate crew and catch up on their latest news. Arguably the most important change since our last chat is the addition of a new team member. Bryan Shimkos was recently named Headbrewer and will be leading the day to day brewing operations at the Green Exchange site. With experience at Two Brothers, Hofbrauhaus Chicago, and Flossmoor Station (to name a few), he brings a wealth of experience to Ale Syndicate. With the uptick in demand for their beer over the last year, Jesse and Sam have elected to maintain production of their three year-round beers at their off site brewing partners while preserving the limited space at the new location for collaborations and one off unique beers. Local nano Arcade Brewery (check out our interview with them) owns two on-site fermenters and will rent time on the system to brew their beer. Ale Syndicate plans to utilize the remaining capacity to give an opportunity for local homebrew clubs to brew on a production scale. Speaking of the beer, several new brews now grace the Ale Syndicate portfolio. Van de Velde, a Belgian Pale Ale with a distinctively American touch, was added to the lineup in late 2013. You can find it at an increasing number of bars city wide including Hop Review favourites aliveOne, The Green Lady, and Paramount Room. Ale Syndicate has also partnered with Chicago's first yeast producer, Omega Yeast Labs, to brew their Omega Midnight Stout. A big bodied Foreign Extra Stout, it really blew us away with it's smokey flavor and surprising approachability. Intended for aging, you'll likely see this very batch reappear over the next few years. Sam and Jesse recently had the chance to partner with Chicago's Atlas Brewing Company and Welsh brewer Celt Experience to create their collaboration "Seven Flowers." Described as a "big, juicy IPA brewed with 7 different hops," the beer has received glowing reviews both locally and across the pond. In more recent news, Ale Syndicate's successful Indiegogo campaign meant that they were able to move forward with the purchase of their brewing system which was finally delivered two weeks ago. Additional funds gained from the crowd sourcing program meant that they were also able to purchase an extra twenty barrel fermenter which will be specifically allocated for collaborations with local brewers and restaurants. Ale Syndicate takes delivery of their brewing equipment! Another huge thank you to Sam, Jesse, Joel and Abby at Ale Syndicate for giving up one of their evenings to hang back at the office at talk with us. Best of luck to them as they move into their new space and we can't to see what they have planned next.